Our Trinidad and Tobago people are extremely talented. We find ourselves all over the world accomplishing so many great things but while we tend to notice those folks making it big outside of our country, there are local entrepreneurs right in our homeland just waiting to be discovered for their amazing talents. This was indeed my experience at the Eastern Market. Being a Sangre Grande girl myself, I find it difficult to go into the Port-of-Spain area and even worst, venture into the Southland where there are wonderful local monthly markets to enjoy. So the Eastern Market was a better option for me being held in the YWCA compound at Gordon Street, St.Augustine. 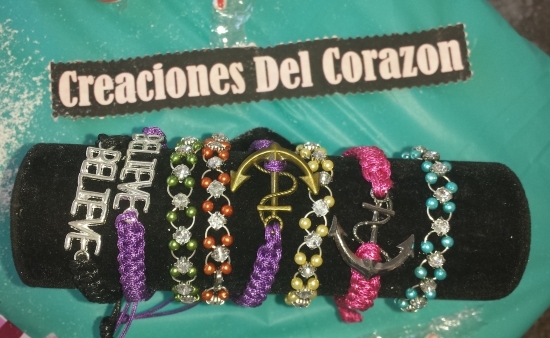 My main reason for going was due to my gorgeous and extremely talented friend from Creaciones Del Corazon. This was her first time venturing out into the world of markets and showcasing her creations out in public, which is another reason to love these events. Let me show you some of the handmade goodness I picked up as well as introduce you to the brands and businesses I encountered for the first time. This list is in no way exhaustive so you can imagine how much more talent there was at this marketplace. 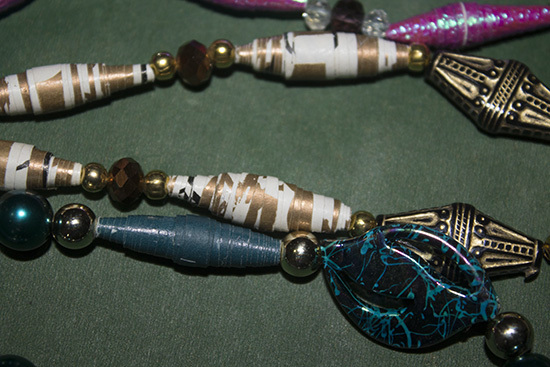 Meet Noella's Paper Beads Jewelry Creations. 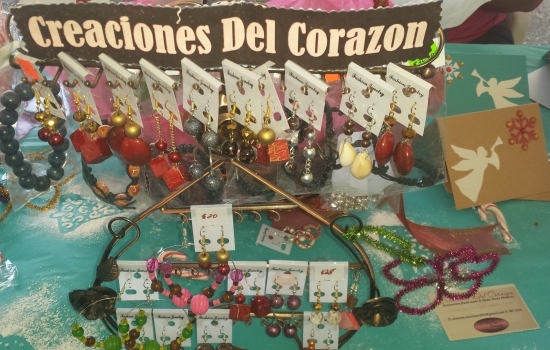 Noella's necklaces and earrings are all handcrafted by herself right in her garage. Honestly if I didn't look close enough I wouldn't even realize they were made of paper. 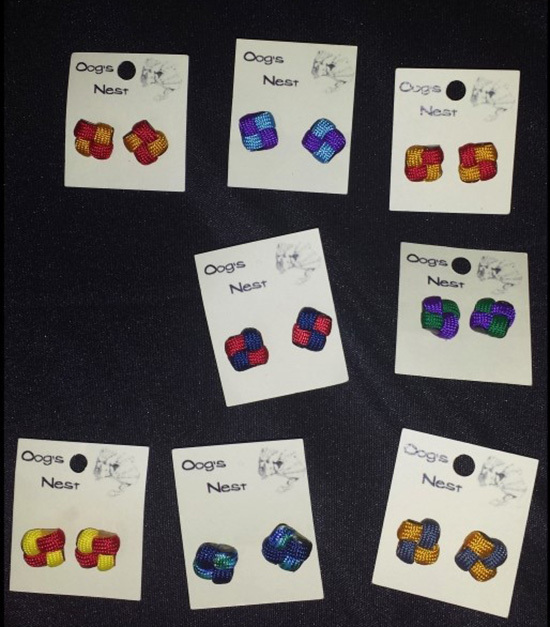 Meet Oog's Nest. 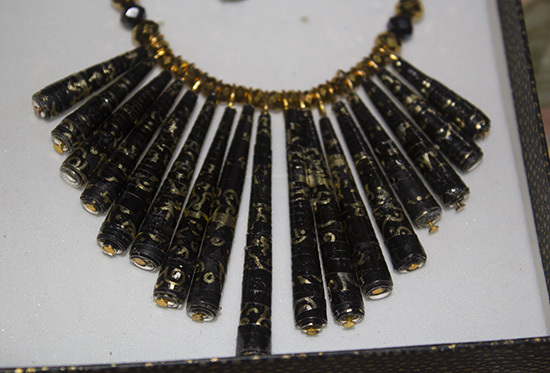 While I'm classifying them into my jewelry category they are more than just this. 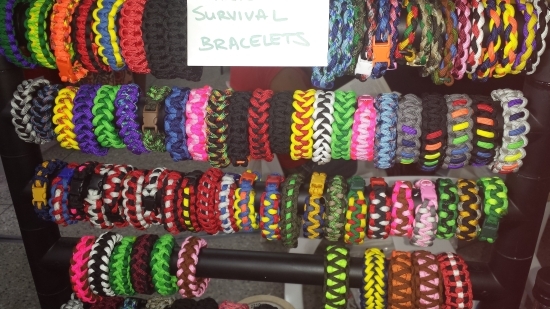 Most popular for their para-cord survival bracelets, they also do a range of products from hand etched glasses to cards. 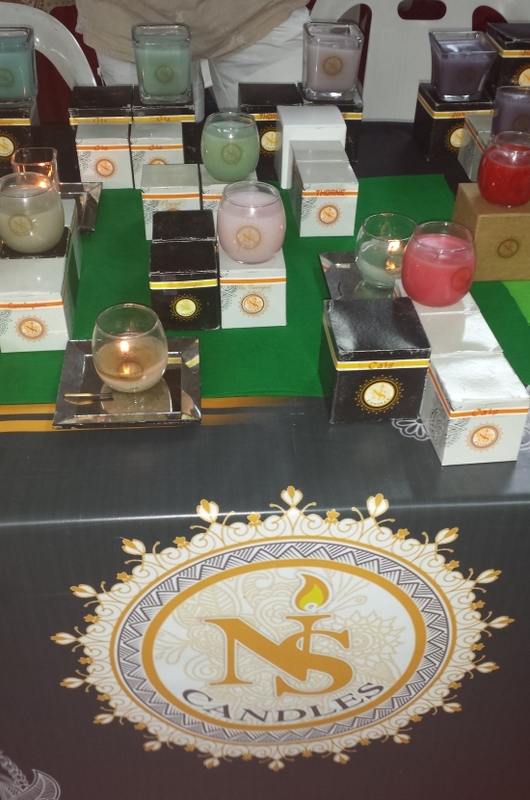 Meet NS Candles. 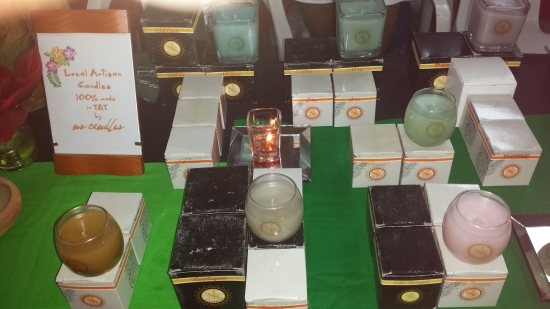 Their candles are 100% made in Trinidad and come in a variety of scents and packaging (square or round glass jars) to suit any lifestyle. I particularly loved the citronella candles nestled within small clay pots, which made for a very earthy look. 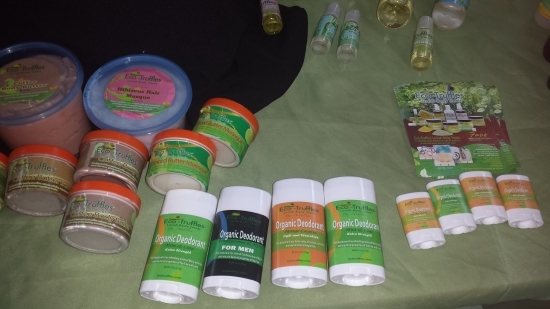 Meet Eco-Truffles Lavish Body Treats. With a wide array of natural products from soaps, masks and clays, shampoos and body butters, you can find definitely find something you like. 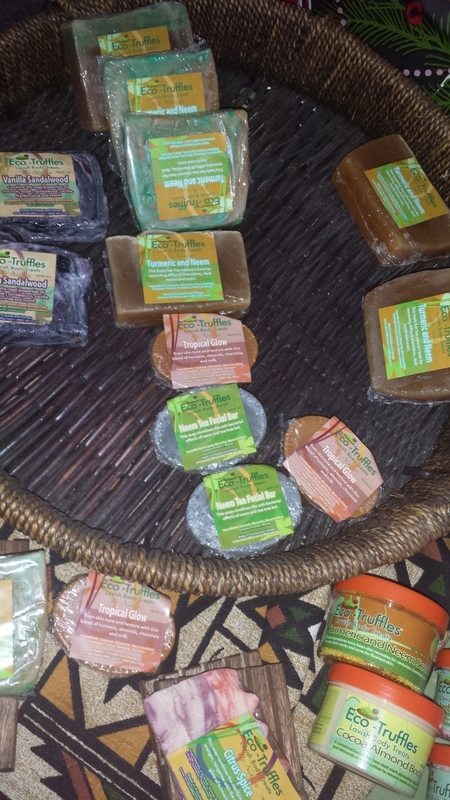 Located in the Point Lisas district, with an online shopping option or friendly faces at your nearest local market, this company has been making a name for itself and provides an alternative to the harsher chemical compositions of store bought products. Meet Classy Craft. 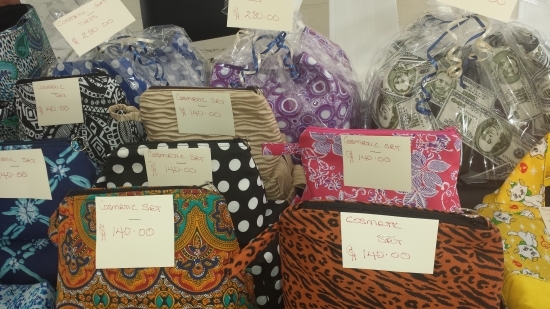 Sabrina hand-makes cosmetic and storage bags, shoe bags and even brush rolls. 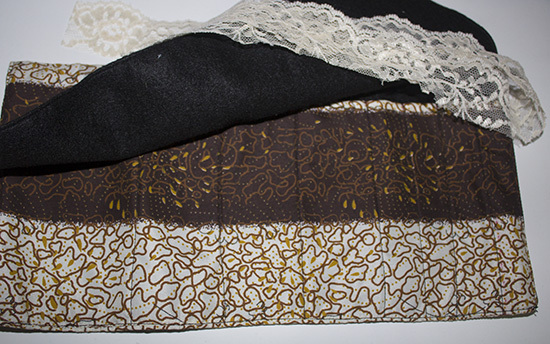 She uses a variety of colours and patterns and you can even customize the size you want. Now there were numerous other vendors to add to each category and my most favourite category, the food was most present but I was too busy sampling and enjoying to take any pictures. Be sure to visit the Eastern Market Facebook page to find these and other local entrepreneurs as well as upcoming market dates as we support our local economy.